When you hear the name Ford, many things come to mind. You think of leadership and innovation. The first Ford model ever mass produced changed the face of the automobile industry, and ever since, the company has done that with its various lines of cars and trucks. The 2017 Ford Super Duty stays in line with that innovative tradition. Let’s talk about the Super in the title. This isn’t some tiny tot posing as a truck. This truck has height, weight and capacity. In terms of power, the available engine sizes are 6.7L diesel V8 or a 6.2L gas V8 with a 6-speed automatic engine that makes it easy to haul and tow. It also comes standard with a 48-gallon tank, the largest in its class, meant to increase productivity. Yet for all its size, it is surprisingly quiet. Whether you want to haul some serious building material around or the family, this Ford can take it. It has a full back seat in its cab, with front and rear doors that swing out 170 degrees in the opposite direction, making it easier for everyone to get in and get out of the car. In addition, the rear seat flips up revealing an extra storage bin. In addition to its function, it has an incredible figure, too. Some of its most stunning features are its high-strength, military-grade, aluminum alloy body and twin panel moon roof. It also includes a full-size outlet, along with up to 7 cameras to help you get a 360 degree view of what is around you. The heart of the Ford Company has always been to provide great value and versatility. 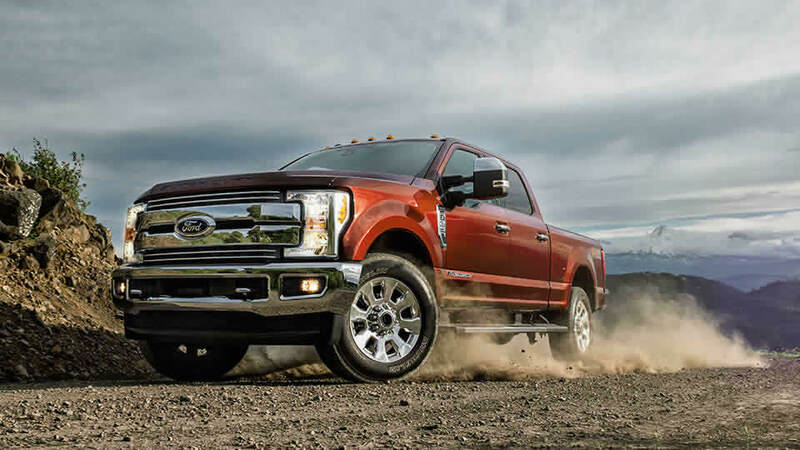 You can’t get more of an embodiment of that spirit than in the 2017 Ford Super Duty. Come see us at Petrie Ford for a complete lineup of trucks and find the one that’s for you.